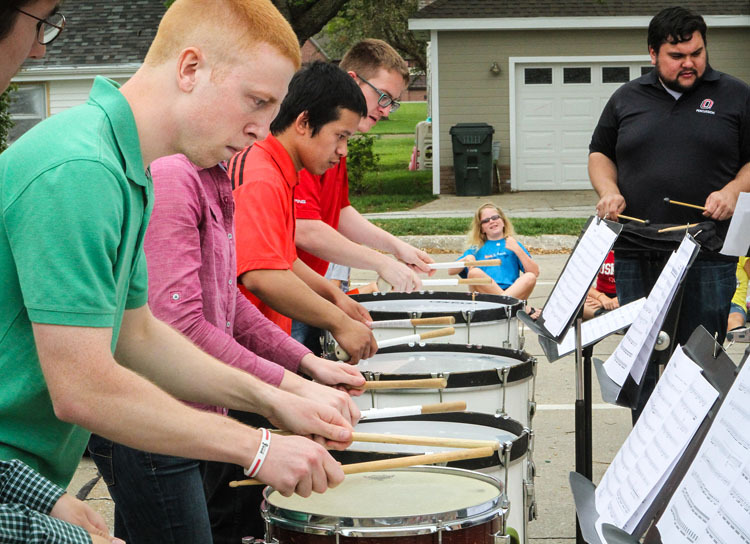 Lizzy Wrightson, background plays air drums while members of the University of of Nebraska Omaha drum line perform Tuesday at the Blair Library. Percussionists, front to back, Philip Kolbo, Amanda Sealock, Raymond Ryan, Zack Besler, and UNO percussion instructor Scott Shinborn. 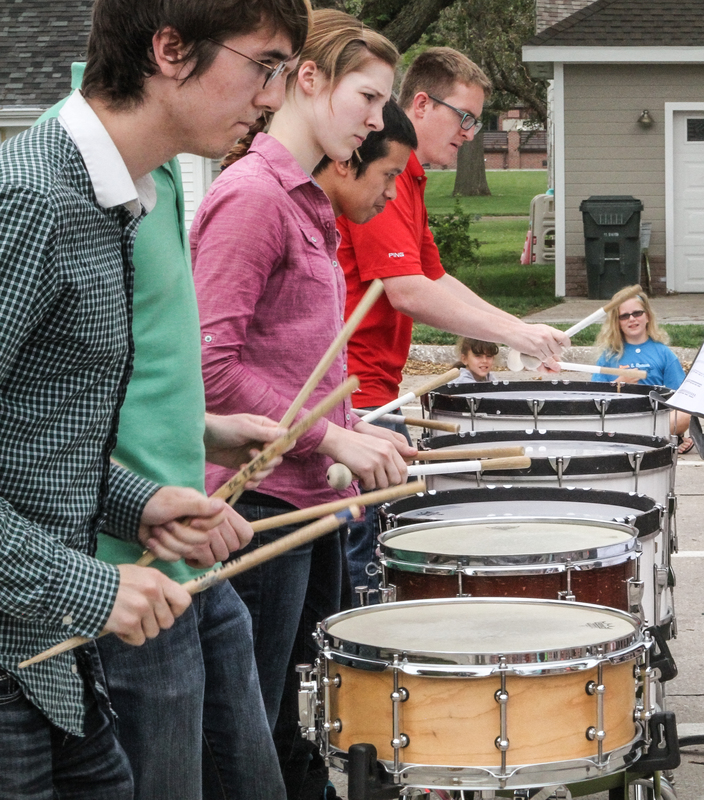 The University of Nebraska Omaha percussion ensemble performed at the Blair Summer Reading Program. 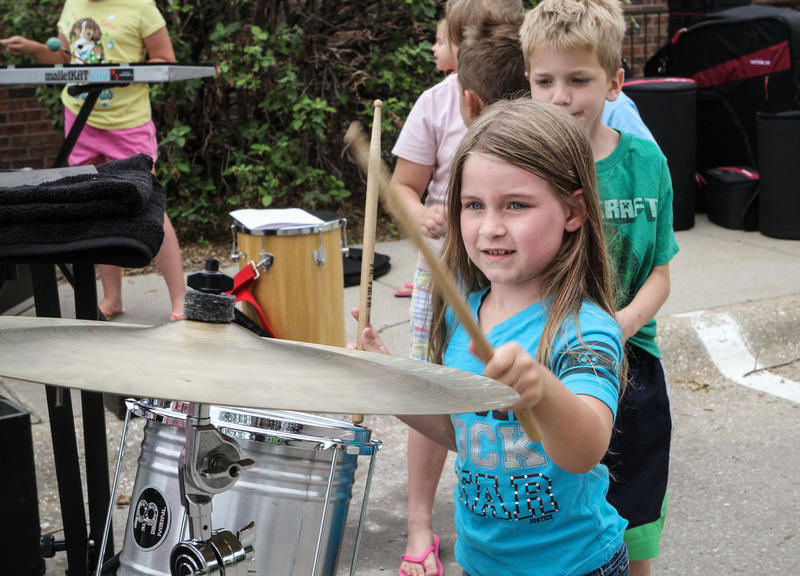 The highlight for most of children was the opportunity to try out the various drums, marimbas and cymbals. 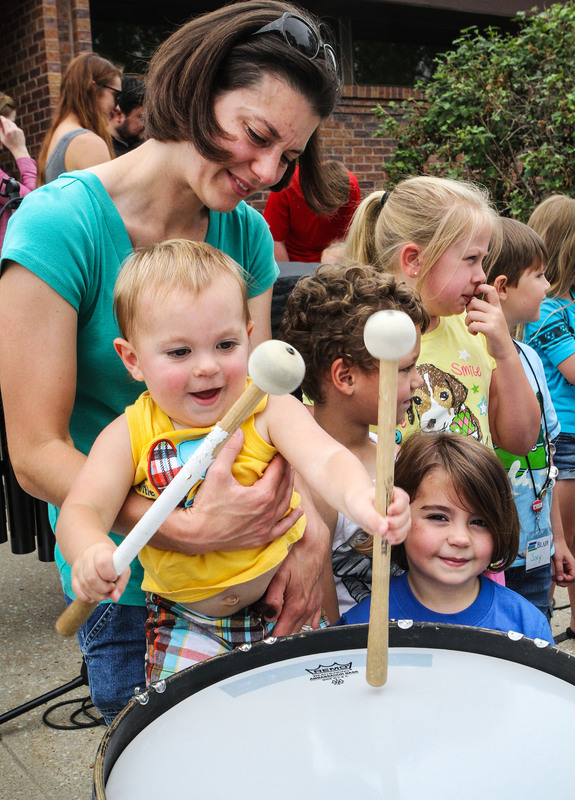 One year old Sean Morgan bangs away on the bass drum while mom Andrea holds him. Quinn Thompson strikes a cymbal with a drumstick. 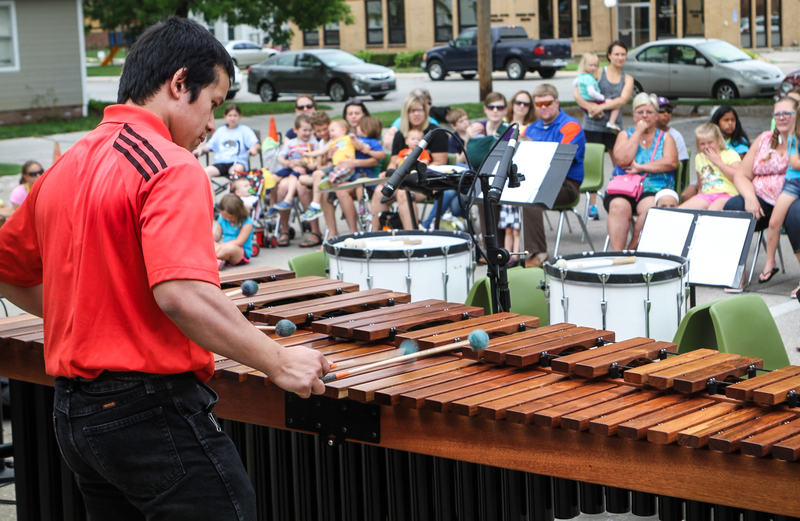 Raymond Ryan plays a marimba solo for the audience gathered in the Blair library parking lot. Shyann Harms and Lizzye Wrightson play air drums while percussionists perform. 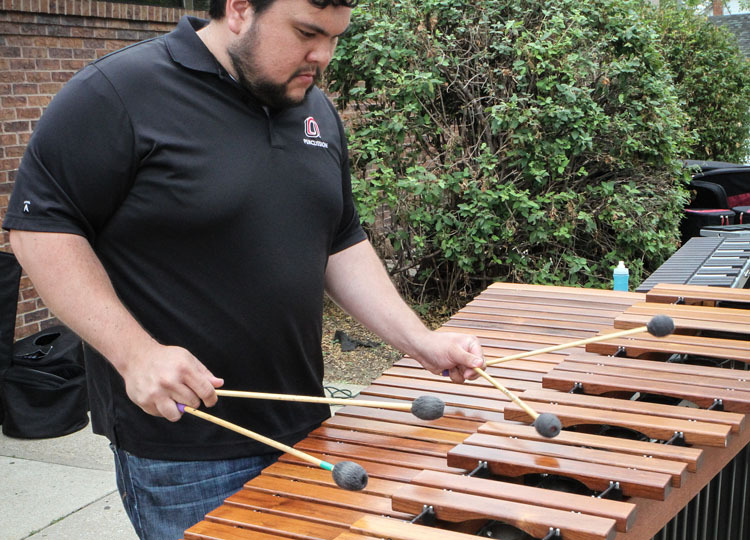 Percussion instructor Scott Shinborn plays a marimba solo . 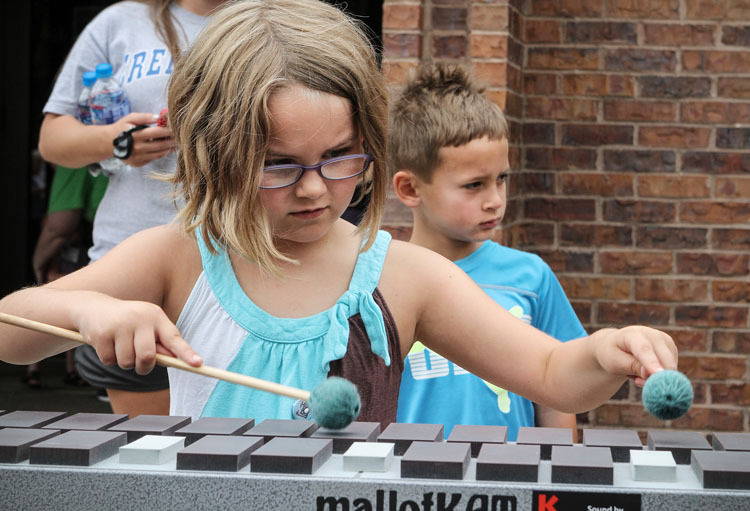 Sydney Miller plays an electric marimba. 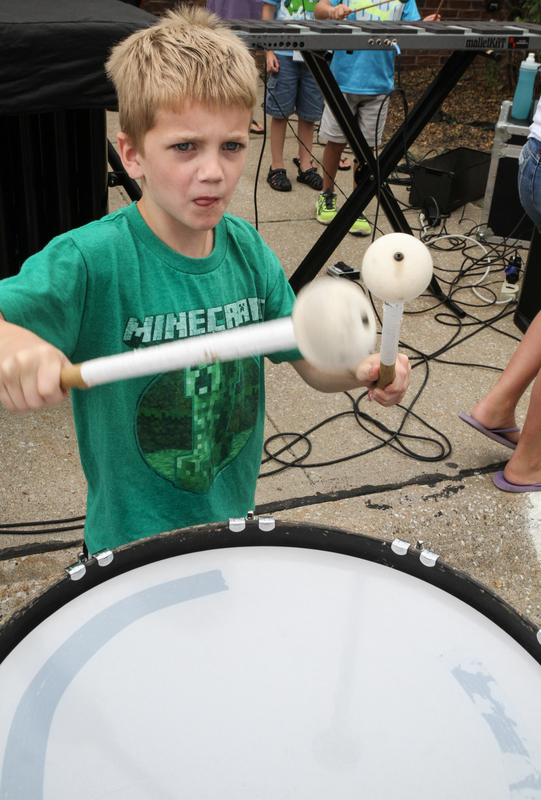 Chase Cottle bangs on a drum.